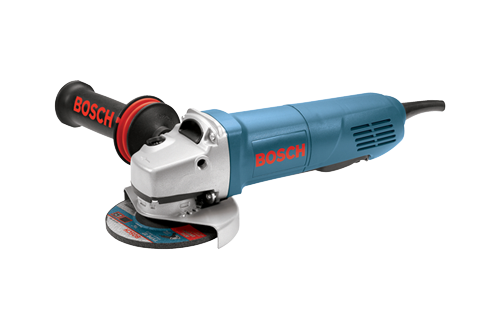 The Bosch 1710 4-1/2" Electric Paddle Switch Angle Grinder combines convenience and functionality to create the ideal tool for all your grinding applications. One of its key features is its 2-position auxiliary handle, which is specifically designed and angled to a "natural" position for maximum comfort and control. This is a powerful grinder, with 7.5 amps and 11,000 rpm. The 1710 also boasts its expoxy coated field windings, sealed switch, service minder brushes, spindle lock, tool-free adjustable guard and vibration control side handle.